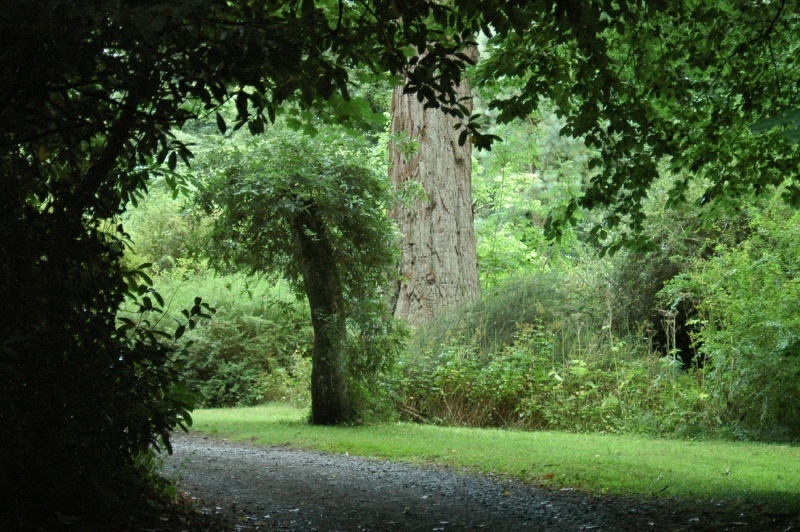 The Demesne's many trees constitute a remarkable forest, one composed of specimens from around the world, collected and nurtured by three generations of botanical Earls of Rosse (the fifth, sixth, and seventh Earls). Looming in the background of this picture is the unmistakable mass and colour of a Sequoiadendron Giganteum (Giant Sequoia), which we are familiar with from California's Sierra Nevada mountains near our home in Boulder Creek. Further meandering in the Demesne's forests revealed several Sequoia Sempervirens -- coastal redwoods -- like the nine on our own home's grounds!